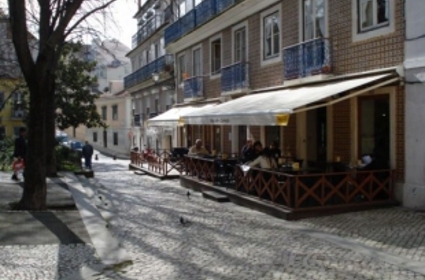 After a long day of touring the wonderful sights of Lisbon, there’s no better way to wrap it up than by soaking up the culture at one of the city’s many esplanade cafes. If you should find yourself wanting a bite while in the busy Principle Real district, then by all means head to the Pao de Canela, for a beyond typical cafe experience, not far from the busiest point. You will not have trouble finding it; just follow your nose by breathing in the many wonderful aromas emerging from its direction. 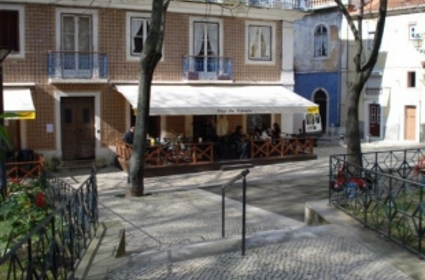 Pao de Canela cafe, one of many beautiful and delicious stops available for your delight in Lisbon, is an ideal place to rest, socialize, people watch and just recount your adventures in comfort, overlooking the bustling district around it. While there, be sure to sample some of their warm and subtly sweet coffees. Nobody is quite sure how they achieve some of those satisfying flavors but many speculate that the secret lies not far from the cinnamon sticks used to sweeten them. Fair warning however; this is not the place to be on a diet. There are far too many beautiful cakes and quiches to ignore for long.